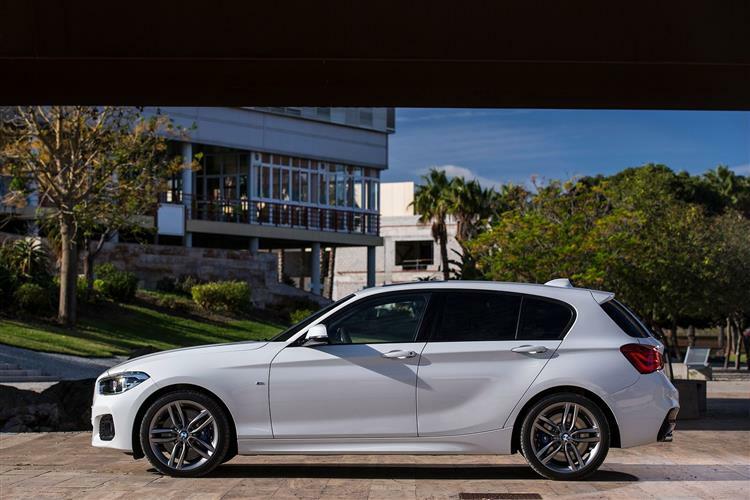 The improved BMW 118i might not offer much in the way of excitement but sometimes sensible pays a whole bunch of dividends. Jonathan Crouch takes a look at this efficient three cylinder variant. 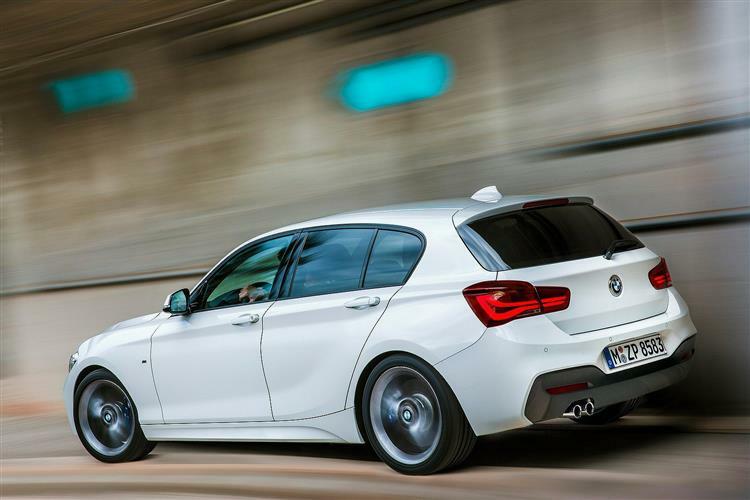 The three cylinder 1.5-litre 118i might well be the entry-level car in BMW's range but whereas once this spelled an underpowered and under-equipped platform for the blue and white badge, you now get a car that's adds to rather than trades on the badge. With decent performance and great efficiency, it's a compelling proposition. BMW has forged a competition history matched by few, is the self-proclaimed purveyor of the 'Ultimate Driving Machine' and stands for dynamic excellence, power and ruthless efficiency. At one end are its halo products, the M cars that ooze testosterone. 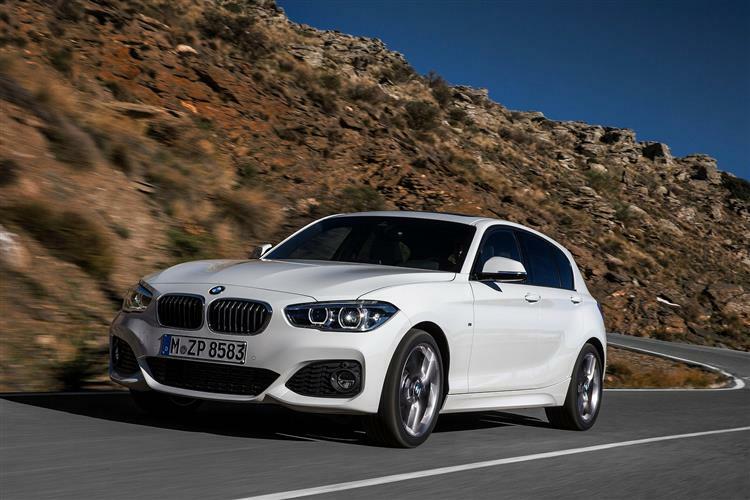 At the other end of the Munich spectrum is this, the BMW 118i, which at first glance seems several stages removed from even the penultimate driving machine. With a 1.5-litre three cylinder 136bhp petrol engine under the bonnet, it's hardly a ball of fire, but rest assured that BMW's corporate ethos underscores virtually everything this car does. It's just a good deal more modest in its reach. 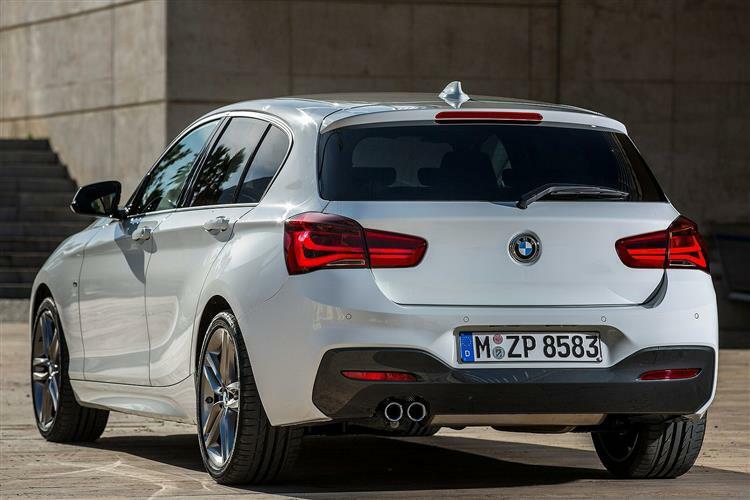 The 1 Series has been completely revised and this entry-level car now features better fuel economy and meaner emissions to boot. Building a car at this end of the range is, if anything, tougher than an indulgent super-saloon. Has BMW got the blend right this time? At this end of the product range, it's all about managing compromise. Adding quality without putting on too much weight, offering just enough power without affecting emissions too severely - all of these things are key in the way that this three cylinder variant has been slotted into the bottom of BMW's model line-up. It's quite a step up from this 136bhp 118i to the 170bhp 120i, with over £3,000 of price difference, so this car needs to hold its own. Able to hit 62mph in 8.5 seconds and run onto a top speed of 130mph, the 118i is no slouch, and is a long way on from the original 116i that could only manage 10.9 seconds to 60. The key to this performance is a twin-scroll turbocharger that forces additional air into the combustion chamber upon demand. It runs at very light pressure in the 118i so there's none of the lag and lunge you get with more heavily boosted cars. It just offers the driving characteristics of a 2.0-litre normally aspirated engine. One consequence of running a transmission tunnel through what has been a rather compact hatch has been rather compromised accommodation. That hasn't really changed too much. The 1 Series is still a bit more cramped in the back than something like a Golf. Nevertheless, the cabin is a good deal better looking than most rivals, with a revision to the dashboard minor controls. Both the air vents and the controls for the radio and the automatic air conditioning now feature chrome surrounds, while the radio and automatic air conditioning keypads are now set against high-gloss black panelling. There's also a standard freestanding, 6.5-inch Control Display. Choose the optional Professional Navigation system and a bigger 8.8-inch display is fitted. All 1 Series models are optionally available with a 40:20:40 split rear seat backrest: folding one or more of the sections allows boot capacity to be increased in stages from 360 to 1,200-litres. The exterior styling is a bit neater, especially at the front. For the first time, full LED headlamps with low and main beam have been added to the options list, with Adaptive LED headlamps a further option. These follow the path of the road ahead, and also adapt their beam according to the type of road and conditions at any given moment. At the rear, revised tail lamps with a familiar BMW 'L' shape design also adopt LED tech. Prices kick off at just over £20,000 and there's a choice of either three or five-door bodystyles, plus three trim levels - SE, Sport and M Sport. When compared to many of its rivals, an SE specification 118i doesn't look bad value at all, including a Navigation system as standard. Other standard features include remote control central locking, keyless engine ignition, electric window controls, electrically heated exterior mirrors and the Driving Experience Control switch. Also included is automatic air conditioning, a multi-function leather steering wheel adjustable for height and reach, a rain sensor including automatic driving lights control and a front passenger airbag that can be deactivated. 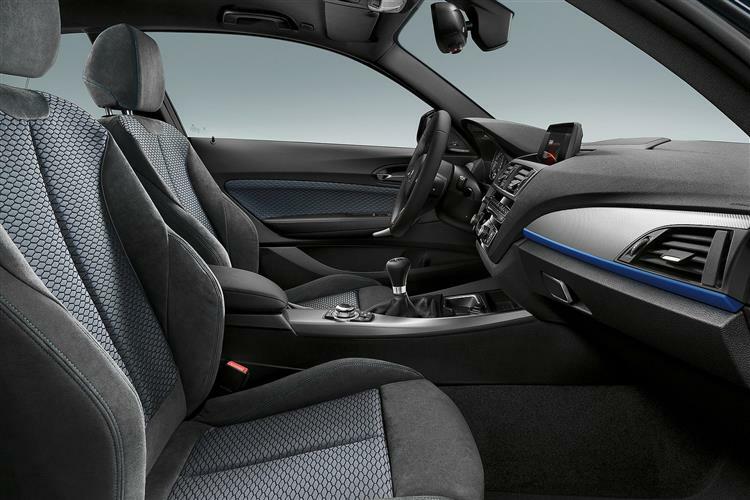 BMW Radio Professional including CD player with DAB, six loudspeakers and an AUX-In socket, and Bluetooth audio streaming functionality are other standard equipment features along with the iDrive operating system. Completing the offer is 16-inch alloy wheels, extended storage, sliding front armrest and fog lights. Building on this in Sport for £1,000 more, the specification is enhanced to include 17-inch alloy wheels, ambient lighting, black high-gloss interior trim, Sport exterior styling elements, Sport steering wheel and Sports seats. For an additional £2,700 above SE specification, M Sport variants come as standard with 18-inch M Sport alloy wheels, aluminium hexagon interior trim, M Aerodynamic body styling, M Sport suspension, Sport seats, Alcantara upholstery, an M Sport leather steering wheel and LED headlights. No car manufacturer has made quite such impressive progress as BMW in the field of improving efficiency. 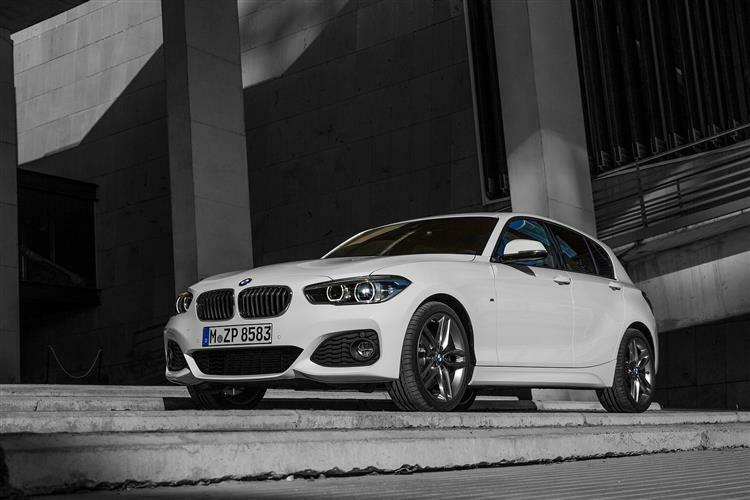 As well as Brake Energy Regeneration, electric power steering, the optimum gearshift indicator and the auto Start Stop function, standard equipment for the improved BMW 1 Series model range also includes ECO PRO mode, which can be activated using the included Driving Experience Control switch. On some cars specified with an automatic transmission, ECO PRO mode now also offers a coasting function. In addition, vehicles with the Professional Navigation system come with a Proactive Driving Assistant function, which tells the driver when to lift off the throttle ahead of corners, turn-offs, roundabouts and speed limits. What's the net effect of all this eco geekery? The BMW 1 Series has garnered a reputation for offering plenty of performance when set against economy and emission figures and the latest 118i is no exception to that formula. It's as quick as many warm hatches, is built better than virtually all of them and yet it will return a combined fuel economy figure of 56.5mpg and emit just 116g/km of carbon dioxide. BMW hasn't always got the 1 Series exactly right. There have been 1 Series models that were priced too optimistically or which offered the driver too little involvement. Sometimes both. This time round, the 1 Series is a much improved car and BMW has smartened up its act when it comes to specifying and pricing. 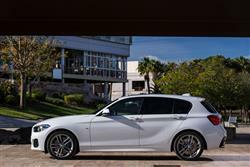 The 118i might be the entry-level point in the range but its stands alone as a very good car. It's quick enough to be interesting, the price looks just about right and there's a good deal more space, allied to better quality and decent economy and emissions. The styling still may not be to everyone's tastes, but if there's one thing we've learned about contemporary BMWs it's that while some initially look challenging, they nearly all come to look good after we've become used to the designs. Choose the right colour and get the wheel choice right and they usually look good. The 118i has taken a while to come good, but it's finally got there. Here's to perseverance.